On 30 March 1976, thousands of people belonging to the Palestinian minority in Israel gathered to protest Israeli government plans to expropriate 60,000 dunams of Arab-owned land in West Bank. In the resulting confrontations with Israeli police, six Palestinians were killed, hundreds wounded, and hundreds jailed. In the intervening years, those events have become consecrated in the Palestinian memory as Land Day. 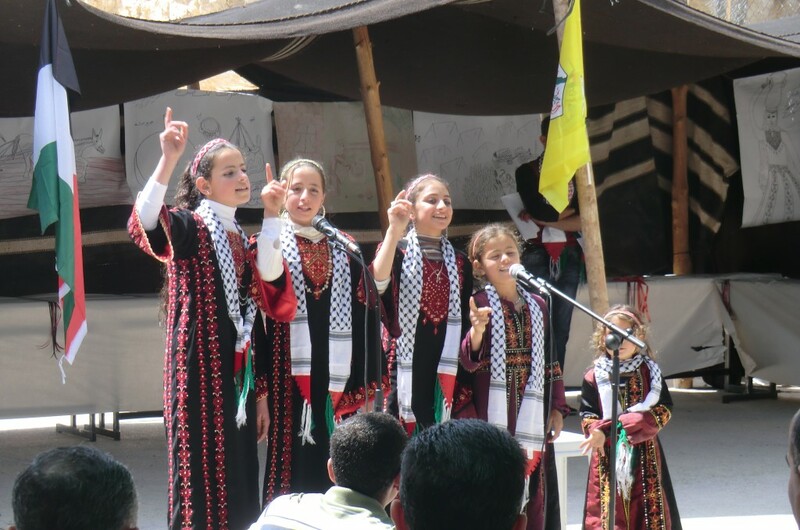 After years of military rule and political docility, Land Day 1976 was the first act of mass resistance by the Palestinians inside Israel against the israeli policy of expansion of the land. 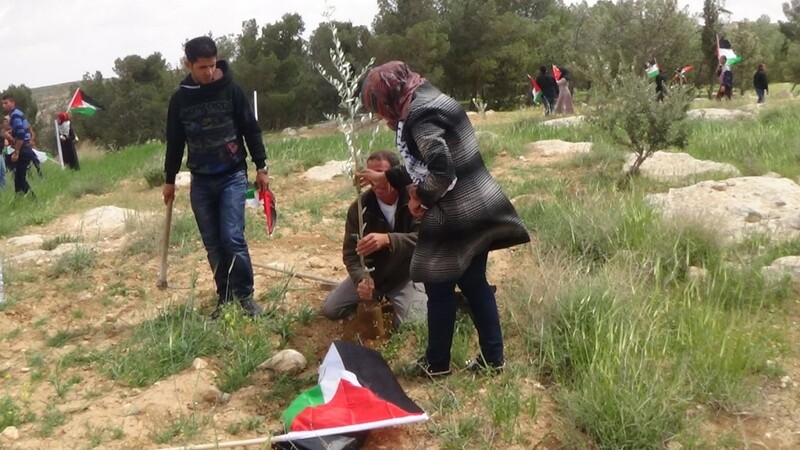 In the Palestinian village of At Tuwani the South Hebron Hills Popular Commitee organised a nonviolen action that consisted in planting olive trees in front of the Israeli settlemen of Ma’on and the Israeli illegal outpost of Havat Ma’on. The Commitee was joined by 30 students from Yatta University, toghether with professors and the principal. The action took place around 11 am and at 11:50 am an army jeep arrived on the place. Four soldiers prevented Palestinians from getting close to the fence that protects cherry trees fields. This land is Palestinian owned, but was cultivated by settlers with cherry trees since the creation of the Israeli outpost in the year 2000. Il 30 marzo 1976, milioni di persone appartenenti alla minoranza palestinese in Israele si sono runite per protestare contro il piano del governo israeliano di espropriare 60,000 dunams (1 dunam sono 1000 metri quadri) di terrenno di proprietà palestinese in Cisgiordania. Come risultato degli scontri con la polizia, sei palestinesi rimasero uccisi, centinai feriti, e centinaia incarcerati. Negli anni a venire, questi eventi sono stati ricordati nella memoria palestinese con il Giorno della Terra. Dopo anni di legge militare e docilità politica, il Giorno della Terra 1976 è stato il primo atto di protesta di massa da parte dei palestinesi in territorio israeliano contro la politica israeliana di espansione del territorio. Nel villaggio di At Tuwani il Comitato Popolare delle Colline a Sud di Hebron ha organizzato un’azione nonviolenta piantando alberi d’ulivo di fronte alla colonia israeliana di Ma’on e all’avamposto illegale di Havat Ma’on. Al Comitato si sono aggiunti 30 studenti dell’Università di Yatta, insieme ai loro professori e al preside. L’azione è iniziata alle 11 e alle 11:50 è arrivata sul posto una camionetta dell’esercito israeliano. Quattro soldati hanno impedito ai palestinesi di avvicinarsi alla rete che protegge campi di ciliegi. Questa terra è di proprietà palestinese, ma è stata coltivata con alberi di ciliege dai coloni israeliani da quando nel 2000 è sorto l’avamposto. At Tuwani – In the evening of March 26, Israeli settlers damaged some solar panels, only electricity power sources for the Palestinian village Bir Al Idd. The same day, during the early afternoon, Israeli settlers grazed their flock on Palestinian-owned wheat fields, damaging the harvest. At 2.18 pm International volunteers noticed a flock grazing on Palestinian-owned fields in Kharrouba valley, close to the south-west side of the Israeli illegal outpost Havat Ma’on, in the South Hebron hills. The flock was apparently unattended, until when, after ten minutes, an Israeli settler from the outpost got close the herd and walked away with it. Later, the Palestinian owners reported the facts to the Israeli police. At 3.02 pm the police arrived at the place and questioned Palestinians and International volunteers, taking from them pictures of the Israeli settler while he was grazing the flock. After that, the police officers went inside the outpost. Around 6 pm, Israeli settlers damaged photovoltaic system that supplies power to the Palestinian village of Bir Al Idd (South Hebron hills area), hitting it repeatedly. Near the village are located the Israeli illegal outposts of Mitzpe Yair and Nof Nesher. The morning after, Comet-Me members, who placed the system during the 2010 (Comet-Me is an Israeli-Palestinian no-profit organization specialized in providing sustainable energy sources and drinking water systems to isolated communities) arrived on the place in order to verify the damages. At 9:59 am an Israeli policeman and a soldier reached them in order to carry out surveys and listen the testimony of a Palestinian. Later, the complaint of the Palestinian was formalized. During the late 90s , the Palestinian families of Bir Al Idd were forced to leave the area because of the continuos violence of Israeli settlers. After a Rabbis for Human Rights’ appeal submitted to the Israeli High Court of Justice, on January 2009 the Bir Al Idd residents’ return was allowed. Now only one household of the 50 residents lives permanently in the village; the others were forced to leave because of several violences that took place since April 2013. In April, August and November 2013, Israeli settlers from Mitzpe Yair attempted to block the only access road to the village. 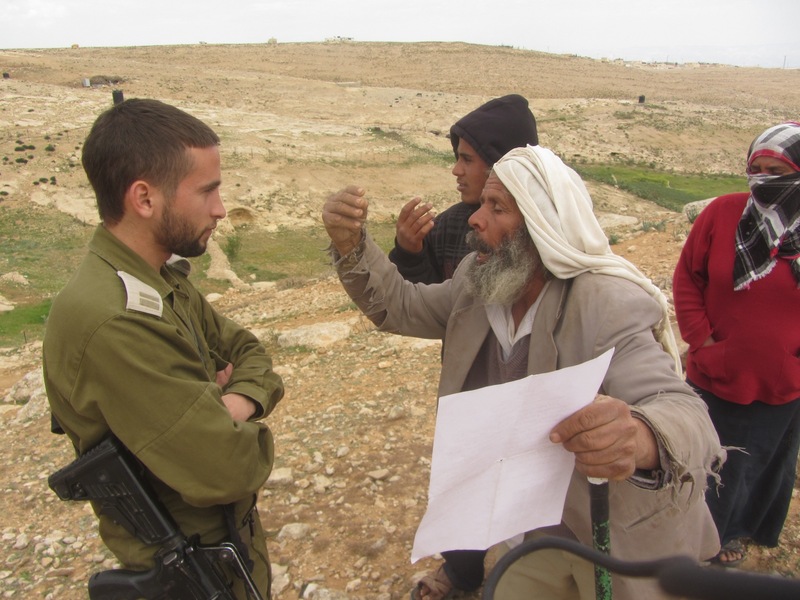 On January 2014, two Israeli settlers prevented Palestinian residents from reaching the village, threatening them. Since the Palestinian family remained the only one in the village, it has been victim of daily violence by the Israeli settlers from the illegal outposts of Mitzpe Yair and Nof Nesher. 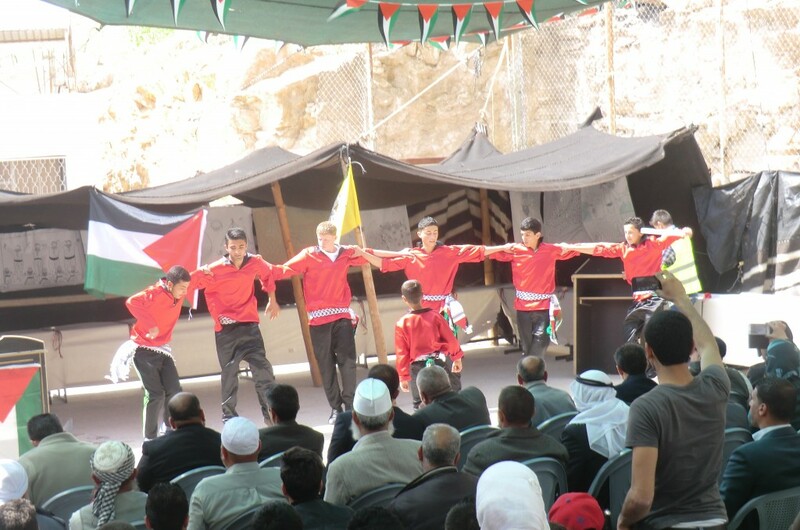 On March 24 Palestinian families and kids coming from the villages of At Tuwani, Ar Rakeez, Al Mufaqarah, Tuba, Maghayir Al Abeed and Susiya gathered at the school of At Tuwani to celebrate local traditions. At Tuwani – On March 20, four settlers from Havat Ma’on illegal outpost attacked, in two different places at the same time, two internationals and seven Palestinian shepherds while grazing flocks on their own land. The settlers were armed with a gun and slingshots. At 9.58 am a settler with a gun chased two Palestinian shepherds away, while grazing between the Palestinian village of Tuba and Havat Ma’on Israeli illegal outpost. He first shouted at the shepherds and then ran after them for more than two kilometers. The harassment lasted for about one hour, when the shepherds finally arrived to Tuba. In the meanwhile, at 10.03 am three settler teens fired a petard from the outpost in order to scare the Palestinians who were in Meshaha valley. 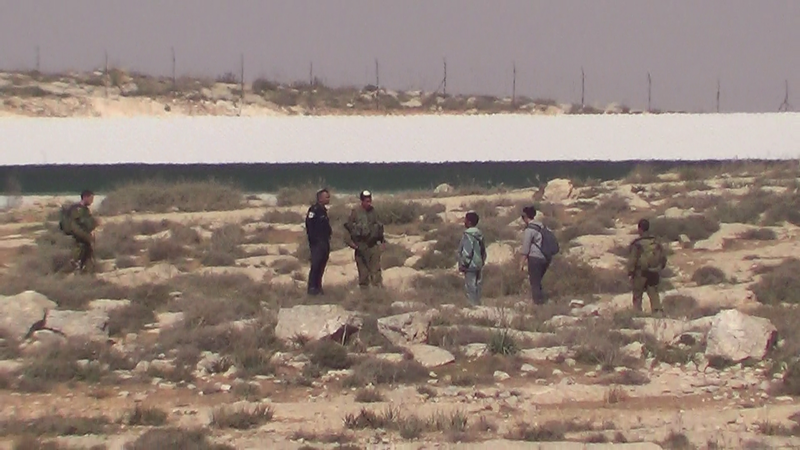 About 15 minutes later the Israeli Police arrived to the place and spoke to the settlers and the Palestinian shepherds. The police allowed the latter to graze in Meshaha valley, south side of the outpost. At 10.40 am a masked settler and two children went to the same valley and attacked five Palestinian shepherds, three men and two women. By using slingshots, the attackers threw stones against the shepherds and the internationals, for about five minutes. 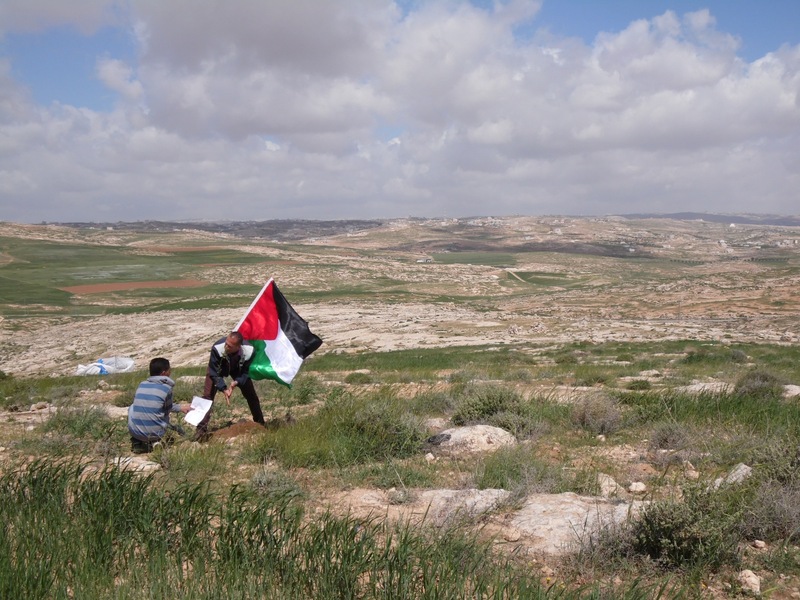 During the assault the settlers entered Palestinian private land. At a later stage the Israeli police arrived to the place and the attackers ran away. The policeman saw them going back to the outpost but did not try to stop them. One of the Palestinians attacked told the police the event adding that a settler with a gun was still chasing away a Palestinian shepherd from Tuba, on the other side of the outpost. The Israeli police moved to the village of Tuba together with the Palestinian and an international volunteer, while the rest of the Palestinian shepherds successfully grazed their flocks in Meshaha valley until around 12.20 am. At 11.30 am the police car arrived to Tuba and after five minutes the policeman reached the settler who chased the Palestinian shepherds away. The settler was still close to the Palestinian village. The policeman inquired one of the Palestinians, Ahmed Jundiya, and the settler. After that both of them got in the police car and were driven to Kiryat Arba police station. 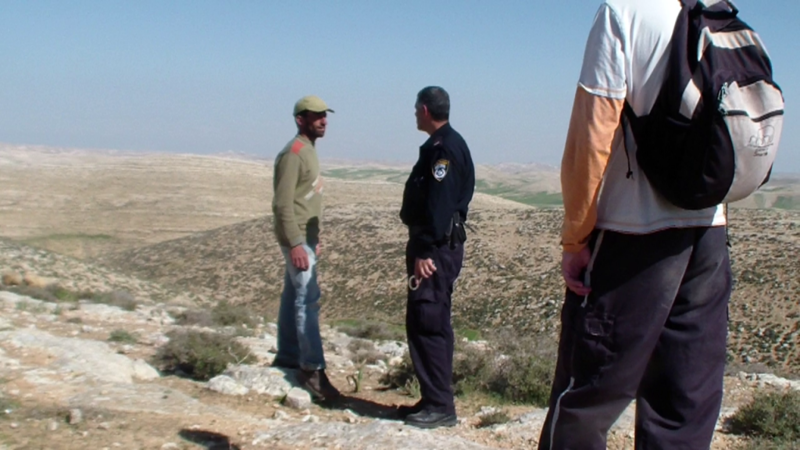 The two filed a complaint against each other: the settler maintained that the shepherds were on Israeli land and Jundiya proved, thanks to his camera provided by B’tselem organization for human rights, that he was chased away while grazing his flock on Palestinian land. 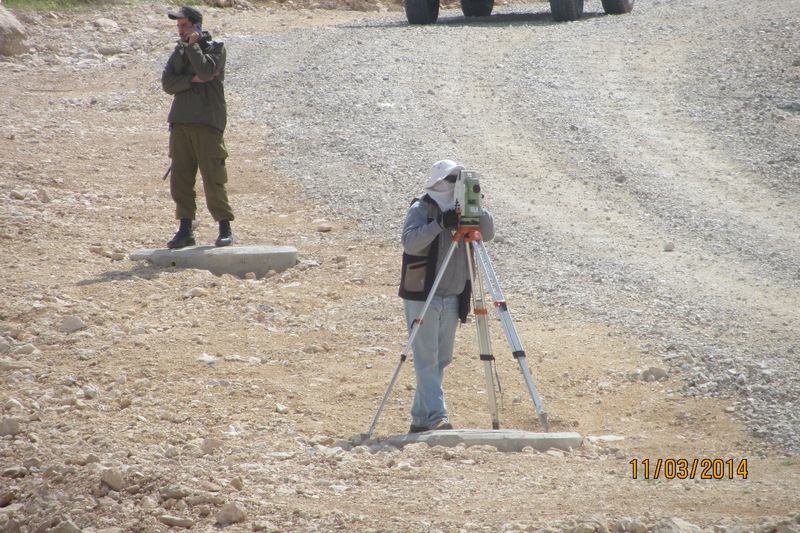 The Israeli police decided to investigate more in order to define within three months whom that land belongs to. Jundiya could come back home at about 4.30 pm. 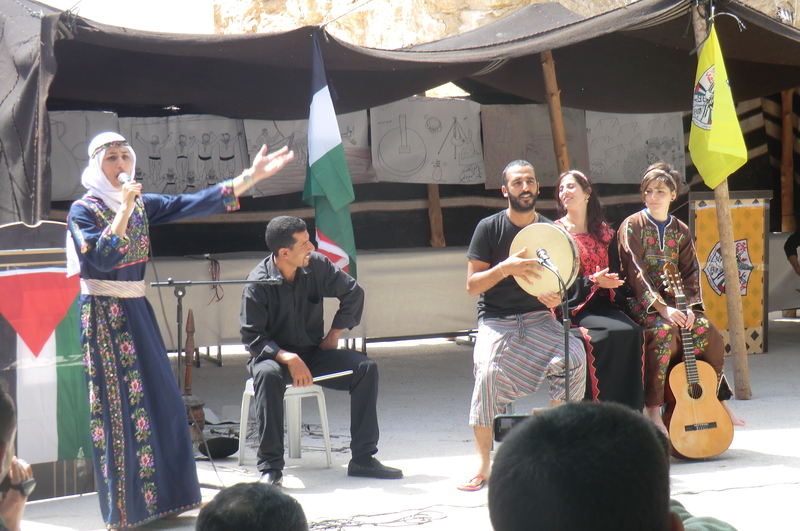 Palestinians from the South Hebron Hills face the Israeli occupation with the popular nonviolent resistance. [Note: According to the Fourth Geneva Convention, the Hague Regulations, the International Court of Justice, and several United Nations resolutions, all Israeli settlements and outposts in the Occupied Palestinian Territories are illegal. Most settlement outposts, including Havat Ma’on (Hill 833), are considered illegal also under Israeli law]. 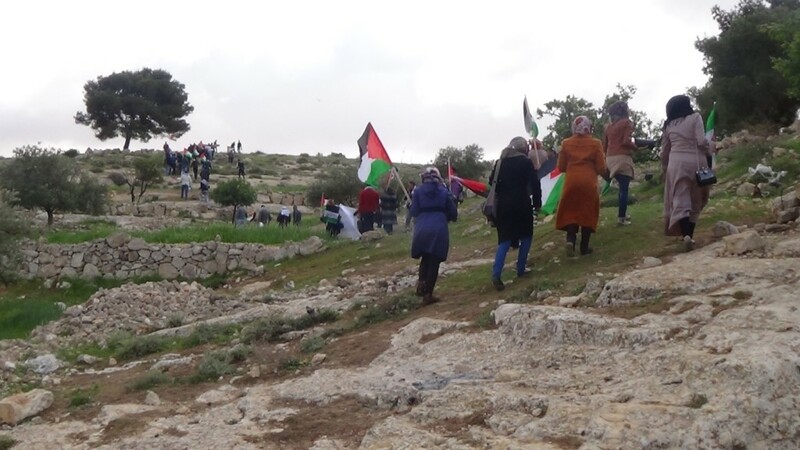 At-Tuwani – On Sunday March 16, during the Jewish holiday of Purim, Israeli settlers attacked Palestinians and Internationals on Palestinian fields near Mitzpe Yair illegal outpost. 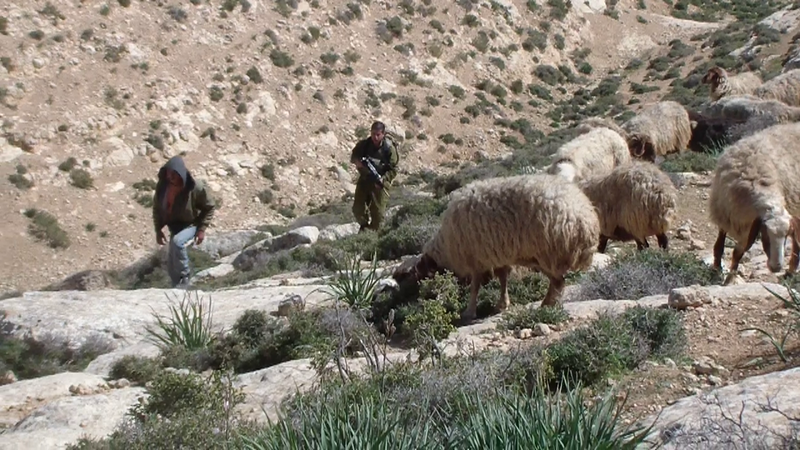 In the morning, four Palestinian shepherds from the village of Qawawis were grazing their flocks south of the Israeli outpost of Mitzpe Yair, when a settler arrived armed with an iron pipe to threaten them shouting. At 9:18 am two Internationals arrived together with two further Palestinian shepherds. The armed Israeli settler then left when he saw that they were filming the scene. By Gili Cohen. March 9, 2014. Dozens of draft-age youth blasted the Israel Defense Forces and declared themselves conscientious objectors in a letter sent Saturday morning to Prime Minister Benjamin Netanyahu. Itay Aknin, 19, said he signed the letter out of political motivations even though he has already received a medical exemption from military service. Aknin, despite his strong stance against the military, has not skirted duty altogether. He volunteers in Tel Aviv as part of the National Service program. Bat Yam resident Shaked Harari, 18, said he chose not to enlist “because of the influence of the army on society” in the areas of education, work, politics, society and economics. “We as a group believe that the army harms society and its citizens, both in Israel and in Palestine, and as long as people continue to enlist they are helping to deepen the social gaps,” Harari said. The campaign to get more draft-age youth on board spread by word of mouth according to Harari, who said he successfully convinced others to join the pledge not to serve. The full list of names is expected to be published this week. On Friday March 7 at 12:30 pm two Palestinian shepherds from Tuba, a minor and an adult, were grazing their flocks on Meshaha Hill, when a settler noticed them and made a phone call. At 12:36 pm the Israeli army arrived and first made the shepherds move to the bottom af the valley and then detained them untill the police arrived. The soldiers affirmed that the land where the sheep were grazing is Israeli propriety. At 1:31 pm the Israeli police arrived. One of the Palestinian shepherds, the minor, was immediately released while the second one was asked for his personal datas before being released after few minutes. Operation Dove volunteers waited for the DCO to show them official maps about the ownership of the land, but they didn’t arrive. The lack of rain forced the Palestinina shepherds to increase the hours of grazing on the hills and the valleis in the South Hebron Hills. Often the Israeli settlers from Havat Ma’on illegal outpost call the army to claim their propriety of the land. The past week has seen an encreased presence of the Israeli police in the valleis surrounding the Palestinian village of At Tuwani. Venerdì 7 Marzo alle ore 12:30 due pastori palestinesi di Tuba, un minore ed un adulto, stavano facendo pascolare i loro greggi sulla collina di Meshaha, quando sono stati notati da un colono che ha effettuato una telefonata. Alle 12:36 è arrivato l’esercito israeliano che ha prima fatto spostare i pastori in valle poi li ha detenuti fino all’arrivo della polizia. I soldati sostenevano che le terre su cui si trovavano i pastori fossero di proprietà israeliana. Alle 13.31 è arrivata la polizia israeliana. Uno dei due pastori, il minore, è stato rilasciato mentre al secondo sono stati chiesti i dati personali ed è poco dopo stato rilasciato. I volontari di Operazione Colomba hanno aspettato la DCO per vedere documenti ufficiali sull’appartenenza della terra, ma non sono mai arrivati. La totale mancanza di pioggia ha portato i pastori palestinesi ad aumentare le uscite quotidiane con le pecore sulle colline e sulle valli a Sud di Hebron. Spesso accade che i coloni dell’avamposto illegale di Havat Ma’on rivendichino le terre chiamando le forze armate. La settimana appena passata ha visto un notevole incremento della presenza della polizia sulle colline e nelle valli vicino al villaggio palestinese di At-Tuwani.